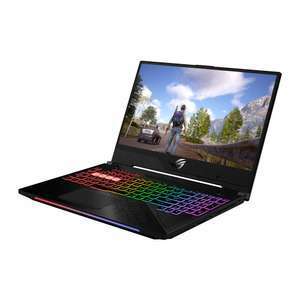 Did a quick search on here, only one with that CPU cheaper was this one ASUS FX504GM i7-8750H, 256GB SSD M.2+1TB, 8GB DDR4, GTX 1060 6GB GAMING LAPTOP, £849.99 at Box And if you are worried about throttling the ASUS FX ones are far far worse. The reviews i have read suggest the throttle on these will occasionally happen but i think that's almost the case with most laptops.Hard to cool an i7 and a 1060 in such a thin device. But yes as you suggest an undevolt + re-paste if you are comfortable doing that would probably fix it. 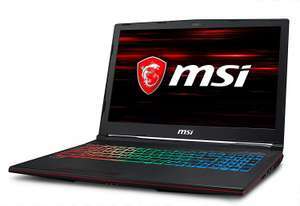 I would suggest that with any gaming laptop if you are capable. No idea what the 20xx series are like mind not something ive looked at due to price. You will and there has been. The CPU throttles and will neef at minimum undervolting, repasting, disabled turbo. Expensive price. Intel cpus are full of legacy vulnerabilities. I thought it was a bit strange, that was from the Currys’ website. Any idea what it actually is? Xiaomi stuff is designed better than a lot of Dell and HP stuff. They do copy apple a lot to be fair though. All of which are made in china afaik. I actually got this price matched AND i've missed the deal lol. Waiting on work vouchers to come through and it's gone back up to 997.97. It was matched from the AO.com 10% off voucher. Gutted. Apparantly a high chance it could go back down to that price but just gotta keep checking the site. Anyone know if i can set alerts for a certain price point? https://www.overclockers.co.uk/ocuk-kinetic-zx-intel-z390-configurable-coffee-lake-refresh-ddr4-gaming-pc-fs-153-og.html#t=d, This has an i7 9700k and a zotec 2080 (not TI) for £1,821. Do you want to build it yourself or buy it pre built? A 2080TI will do 4K great but that card alone will cost around £1100 . If building yourself, you could probably get the rest of the parts for £900 ish. A pre built with a 2080TI will likely cost you more. Cheaper than the Samsung fold. Heat. May aswell go 2k go full top end. 4 years 500 quid a year. Cheap. Thats how i see things. Better kit you buy the longer it lasts. People buying mid end always pay more in the long run. I mean this is mid-high but some crap bits that could be good bits for couple hundred more. it was tongue in cheek yes, the point being, anyone who wants something an Envy 13 / XPS 13 is unlikely to be bothered with something as big as that 15.4 inch acer even if it is cheaper. I wouldnt. Even standard issue work laptops these days are generally no bigger than 14 inch. Have a look around you the next time you're on a plane or train. Anyone using a laptop isnt lugging somethig with a 15.4 inch screen about with them. Its like comparing a Porsche to a Golf R. Probably similar performance but both doing very different jobs and the golf is cheaper for a reason. You're just not comparing apples with apples. Kind of you to share with the group. Your thoughts are appreciated. I had them hold onto 500quid once while they waited for one of the items to come into stock (nearly a month) which is a complete P take. And when i returned a failed hard drive they just charged me a checking fee and returned it. I tried everything and never could read a single byte from it. So no idea how they figured it was ok. Never used them since and never will again. Overclockers and OEM chip = well performing chips cherry picked out the pile to be sold in preclocked systems. Leaving the poor to normal performers to be sold on. Wonder if these are the poorest binned chips? You've had issues with them before? Never had issues myself but intruigued if others have. By the time you've added the RAM, SSD &amp; HDD you could have purchased an i5 8300h/GTX 1060 laptop. Just as compact but much more versatile. Mobile 7700HQ cpu,sodimm memory, probably mobile version of 1060 as well. BEWARE This is basically a high spec 7th gen laptop with better cooling and no screen. ...or just save the ££ on Windows and use it without a licence key. Never miss a 'Intel i7' deal again! Because the 7700K is old now. The high end moved forwards to 6 and 8 core CPUs. You'd have to be bonkers to buy into this with X299. High cost motherboards with features you can't use due to this CPU Only half DIMM slots missing key features too. You'd have no additional features than the standard version in a Z270 board. This is not WHY this CPU is a bad buy. The reason why it is a bad buy is because it ONLY supports DUAL CHANNEL memory! Only the i7-7800X and above support quad channel memory. What this means is that, if you buy an i7-7740X, you can only use four out of eight slots of your X299 motherboard! Doesn't work. You sure it's back? Just in case it matters, despite the specs on PC World and HP, I'm pretty sure that the USB C port is data transfer only. Not Display port and power delivery as advertised. Which is why I didn't buy. I had an Asus a long time ago, and I mean a long time ago, but I had similar issues with overheating. CPU would regularly hit 90+, I ended up having to get one of those laptop cooling mats which helped but certainly wasn't ideal. From a amazon review : 'Really fast and smooth, speakers are loud and the rgb looks good. The CPU heats up to 90 degrees Celsius but apart from that's it's a amazing laptop'. 90 degrees is way to hot it'll defo start thermal throttling, thus reducing performance. I have the same specs in the Asus gl504gm and the cpu goes to max 77 degrees under full load, same as the gpu. Yes, the 1st digit identifies the generation. looking at the dates on that chart am I still right in thinking the 8 in the i*-8*** means 8th gen? Still like the sound of this one. well it's delidded, so who cares? you can't RMA it. Which CPU did you delid? i won the silicon lottery on mine its deli-did 5ghz all cores 1.26v 70c on stress test. Some thermal issues reported ? no, no, this could go on for weeks. The screen really let's it down IMO, what's the point of a 1070 when the screen only supports 1080/60. May as well have a 1060 at that resolution. Bought this today, comes tommorrow. Was looking for a decent mid ranger and this seems to be it. If you sell the codes and extras it comes with could probably bring it down to £1100, maybe even less. 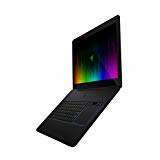 Seem like a really good alternative to a Razer Blade. Thicker, but also half the price. You can go for that then: https://www.box.co.uk/9S7-17C522-062-MSI-GP73-Leopard-8RE-062UK_2322970.html? Hi, what keyboard layout is this? ...how do they declare such bulky items, so they slip through customs, are they being sent in manufacturers retail boxes or wrapped in bubble foil? Well I just thought your comment might make people actually think they're cheaply made, they're not. Having said that I wouldn't pay this much for a 1060 version. Yeah you might be, the Alienware laptops are top notch though. 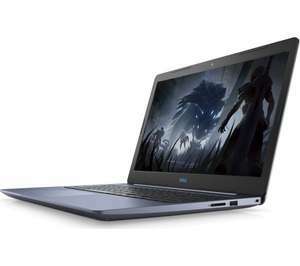 In the US, you can get the R5 17" 1070 version of this for this price https://www.bestbuy.com/site/alienware-17-3-laptop-intel-core-i7-16gb-memory-nvidia-geforce-gtx-1070-256gb-solid-state-drive-1tb-hard-drive-black/6228319.p?skuId=6228319 Unfortunately if you buy a Dell or Alienware from a store in the US, the warranty doesn't apply outside the US. You only get the "premium" warranty from buying from the Dell website.